Nestled between lively tourist hotspots, the serene resort of Callao Salvaje is the perfect place for sun-seekers searching for a peaceful resort in which to unwind, but that is still close to a wealth of activities and amenities. With a relaxed atmosphere surrounded by wonderful scenery, Callao Salvaje is a superbly quaint spot to soak up the glorious Tenerife sunshine. Whether you decide to relax at your hotel pool, head to the tranquil pebble beach or wander into town, there's never a shortage of ways to de-stress. For a larger beach, head to the nearby Playa de las Americas where you'll find well-equipped facilities for families and a boatload of water sporting activities. Tenerife is lucky enough to boast a near-year round climate, there is very little variation between Summer and Winter in temperature and indeed in rainfall. However the day-to-day weather around the island can vary depending on where you are in the island, for example at the summit of Mt.Teide it may be snowing whereas just an hour away on the beaches of Playa de Las Americas you can quite happily sunbathe! 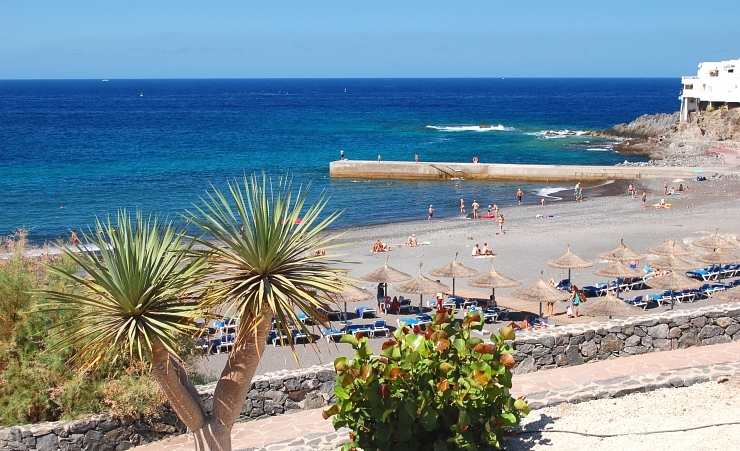 The coast of Tenerife boasts the most sunshine and least cloud than the rest of the island. The hottest months are July and August with an average temperature of 25C, the coolest months are December to February with an average temperature of 18C although it can reach up to 22C even in these months! The driest months are June to August with virtually no rainfall, the most rainfall falls from October to December with an average of 15mm a month. Why holiday in Callao Salvaje?